I provide expert, non-judgemental care and education for families. 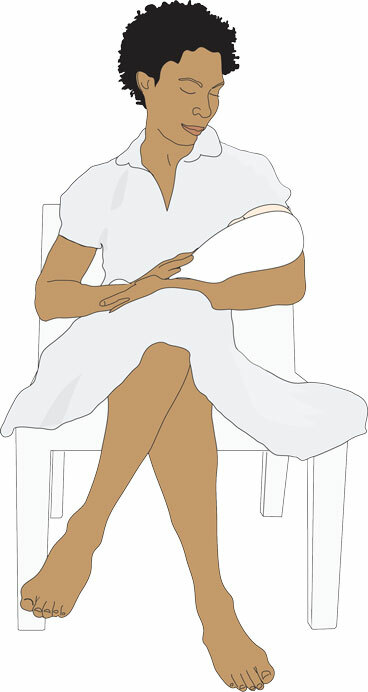 I offer warmth, knowledge and flexibility in my assistance with breast and bottle feeding, soothing, bathing, diapering, sleep, breast pumps, post-partum depression, as well as referrals to specialists and support groups. “Sharlene was an incredible birthing and post-partum doula. She was an extremely calming and comforting presence during the birth of our son. Sharlene was wonderful at explaining what would happen next and what my options were when confronted with choices in the hospital. After I gave birth, Sharlene visited me a few times in my home. Again, she made me feel much more at ease during the transition to motherhood. I had difficulty with breastfeeding and Sharlene helped guide me through that process and taught me about ways to care for myself and for the baby. “Sharlene has been wonderful and supportive of everyone in the family, especially Gabrielle and me. She primarily cares for Gabrielle at night, but has also been so supportive of me, giving advice, answering questions to nerve-wracking issues that a first-time mom has, and just being an ear or a shoulder. She helped with the early frustration of breast feeding and now we are doing great! Being a health counselor I also value some of her more holistic advice. Sharlene is not judgmental at all, she knows that parents need to choose their own approach, but has been happy to provide different ideas and advice which helped me formulate how I want to care for and raise my daughter. Sharlene is also a very nice, intelligent and cool person — very fun and easy to talk with. Oh and most importantly, Gabrielle adores her and she's so great with her.